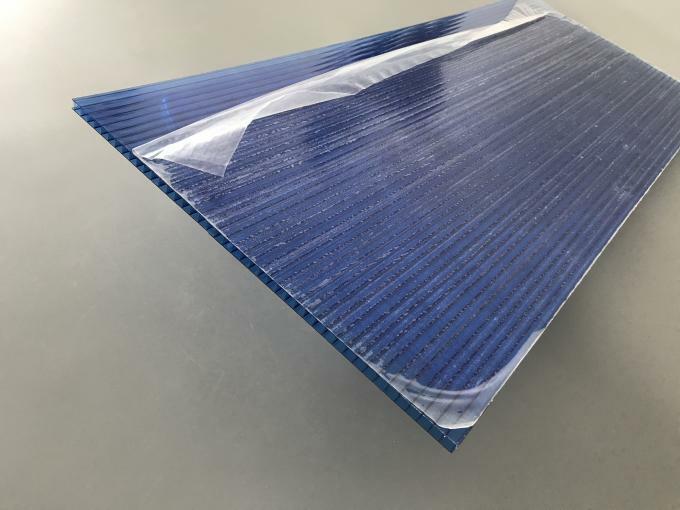 Polycarbonate twin wall roofing sheet provides outstanding flexibility in design and advanced heat reflecting and light transmitting performance. One side of the sheet has a co-extruded UV barrier which provides protection from 99.9% of harmful UV radiation, giving superior resistance to outdoor weathering. The flat appearance of the sheet means it is aesthetically pleasing. (2) Thickness: the most commonly used thickness is 6mm and 8mm, but if you need 4mm, 5mm and 10mm, we can also do as you need. * Impact strength: Polycarbonate twin-wall sheet has outstanding impact performance over a wide temperature, -40℃ — +120℃, and also after prolonged ourdoor exposure. * Hail resistance: As a roofing glazing material, polycarbonate sheet is subject to extremes of weather, storms, hail-stones, wind, snowfalls and ice formation. Under these conditions, the product is virtually unbreakable and is able to withstand the subsequent temperature change to sunny conditions without breaking or bucking. * Temperature increase inside the building: Sunlight entering the building heats the air both directly and throught absorption by the framework, furniture, etc., and is released as infrared energy. In the combination with the insulating properties of polycarbonate sheet, this prevents hear escaping faster than it it created causing a temperature increase— the so-called 'greenhouse effect'. 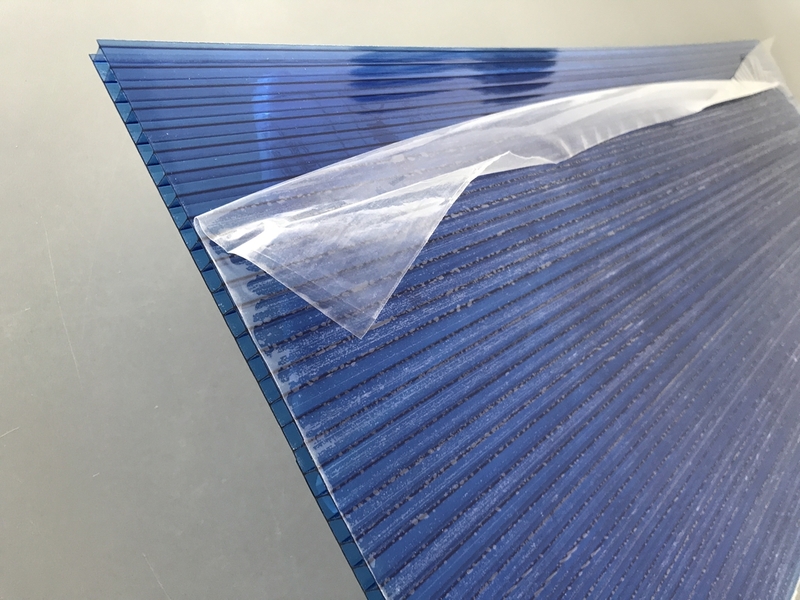 The temperature can be controlled by venting, often in combination with polycarbonate sheet. 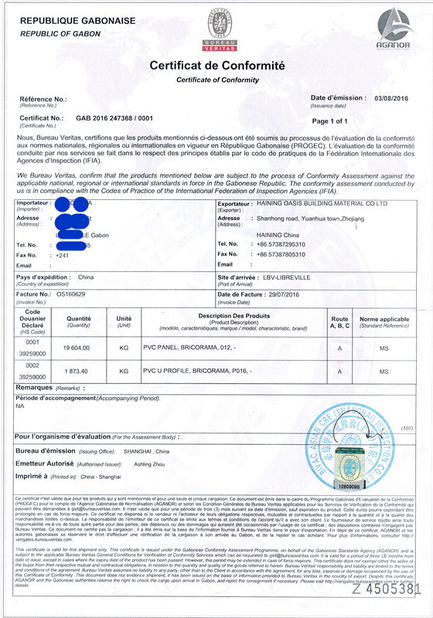 * Solar control: Transparent grades of polycarbonate sheet has excellent light tranmission, between 38% and 83% depanding upon thickness. 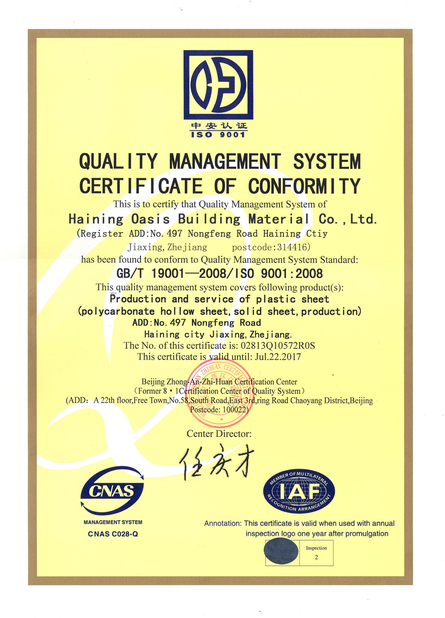 However, for buildings in hot climates or with south facing aspects, polycarbonate sheet is available in translucent grades of bronze, grey, blue, green, opal white, These grades significantly reduce solar heat build-up, helping to maintain comfortable interior temperatures. 2. Skylight, lighting for corridors, balcony, passages,and subway entries, walkways. 3. Conservatories, agricultural greenhouse, zoos, botanical gardens.